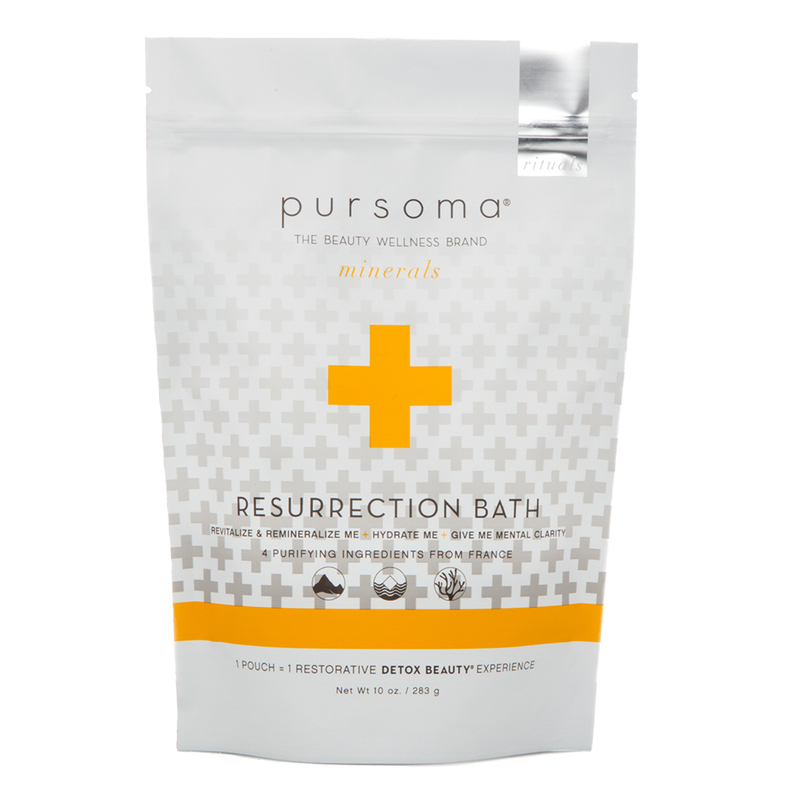 Enjoy the 1-day cleanse package of Resurrection Bath by Pursoma whenever you need the feel of a total body reboot. 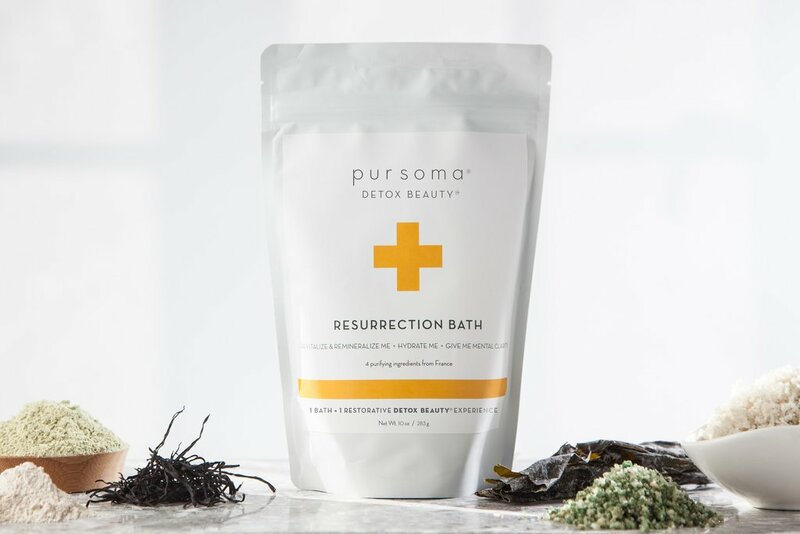 This bath is the perfect reward at the end of a long week, a way to instill a feeling of vitality before a big life event, or to be employed whenever you feel run down. Mineral rich sea salt with pure and natural montmorillonite clay lend a feeling of powerful detoxification and restoration. You'll reap the benefits of feelings of renewed energy and body ease following this total body bath treatment. As a pre- and post-bath ritual, drink 8-16 ounces of purified water to stay hydrated. Fill your tub with warm water and add seaweed salt, stir to fully dissolve ingredients. Hop into the tub and add the clay powder. Soak for up to 20 minutes, immersing your body and keeping the water at a consistent temperature. Relax while the minerals go to work. Lightly rinse off clay and pat dry but don’t shower. Immediately wrap yourself in a towel and “Sweat and Rest” under a warm blanket for 15-30 minutes as your body continues to perspire. Relax or sleep. For best results, use once per week; may be used more frequently as part of a guided detox cleanse.